Focus Features Acquires Worldwide Rights to Coming-of-Age Drama "Boy Erased"
Los Angeles (June 21, 2017) – Focus Features has acquired worldwide rights to “Boy Erased,” the coming-of-age and coming-out drama from writer/director Joel Edgerton based on “Boy Erased: A Memoir of Identity, Faith, and Family” by Garrard Conley. Academy Award nominee Lucas Hedges (“Manchester by the Sea”) will star opposite Academy Award winners Russell Crowe and Nicole Kidman. The movie will be produced by Anonymous Content and will begin production this fall for a 2018 theatrical release. Focus chairman Peter Kujawski made the announcement today. 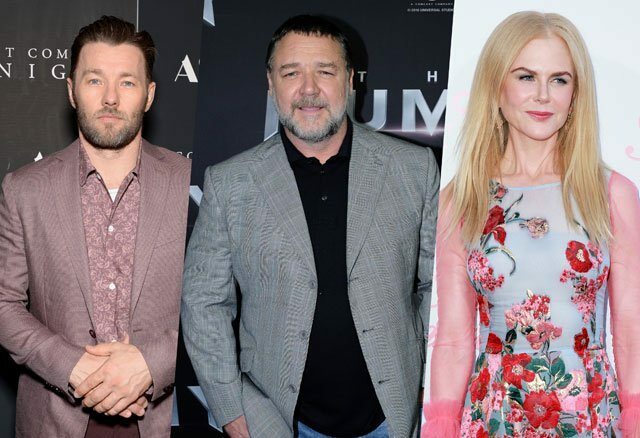 “Boy Erased” is being produced by Mr. Edgerton and Anonymous Content’s Kerry Kohansky-Roberts and Steve Golin, an Academy Award-winning producer of Best Picture Oscar winner “Spotlight.” Executive-producing the film are Rebecca Yeldham, Ann Ruark, and Anonymous Content’s Kim Hodgert and Tony Lipp. Josh McLaughlin, recently promoted to Focus president of production, will supervise the project for the company. Celebrating its 15th anniversary in 2017, Focus Features has made and released Academy Award-winning LGBT-themed films including “Beginners,” “Dallas Buyers Club,” “The Danish Girl,” “Milk,” and “Brokeback Mountain,” the company’s all-time top-grosser. Focus Features (www.focusfeatures.com) acquires and produces specialty films for the global market, and holds a library of iconic movies from fearless filmmakers. Current and upcoming domestic releases from Focus include the real-life story of heroism “The Zookeeper’s Wife,” directed by Niki Caro and starring Jessica Chastain; Colin Trevorrow’s “The Book of Henry,” starring Naomi Watts, Jaeden Lieberher, and Jacob Tremblay; Sofia Coppola’s “The Beguiled,” winner of the Best Director award at the 2017 Cannes International Film Festival; the breakneck action thriller “Atomic Blonde,” directed by David Leitch and starring Charlize Theron and James McAvoy; “Victoria & Abdul,” directed by Stephen Frears and starring Judi Dench as Queen Victoria; “Darkest Hour,” directed by Joe Wright and starring Gary Oldman as Winston Churchill; the untitled Entebbe project, a gripping political thriller directed by José Padilha and starring Rosamund Pike and Daniel Brühl; Jason Reitman’s new comedy “Tully,” starring Charlize Theron and written by Diablo Cody; and the untitled new film from Paul Thomas Anderson starring Daniel Day-Lewis. Anonymous Content’s clients have been recognized with Academy Awards, Emmys, Golden Globes, Tony Awards, Pulitzer Prizes, and other prestigious awards. The company’s award-winning Film & TV division boasts many commercially successful and critically acclaimed works, including “Babel,” “Winter’s Bone,” “Being John Malkovich,” “Eternal Sunshine of the Spotless Mind,” “50 First Dates,” “Collateral Beauty,” “The Revenant,” and Best Picture Academy Award-winning “Spotlight.” The company’s TV slate includes “True Detective” (HBO), “The Knick” (Cinemax), “Mr. Robot” (USA Network), “Schitt’s Creek” (POP), “Berlin Station” (EPIX), and “13 Reasons Why” (Netflix) as well as upcoming titles “The Alienist” (TNT) and “Maniac” (Netflix). Through its commercial work, Anonymous Content is also the driving creative force behind countless top brands, including Prada, Nike, and Coke. In 2016, Anonymous Content received a substantial minority investment from Emerson Collective, the organization founded and run by Laurene Powell Jobs, to allow the firm to expand its production offerings in socially relevant content aimed at inspiring change. For more information, visit www.anonymouscontent.com.